Look for giveaways and special offers today from several restaurant and retail chains nationwide. It's officially April 15th. Otherwise known as Tax Day, so hopefully you can find relief from the stress of getting your return in on time. By taking advantage of a bunch of freebies and special deals that businesses will be offering on or around the filing deadline. Arby's. The fast-food chain is offering a free value size order of curly fries again this year. 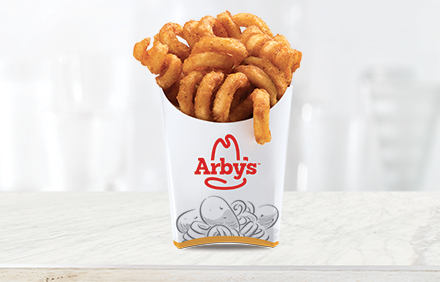 You'll need a coupon that you can download from arbys.com a few days prior to April 15. BLT Restaurants/ESquared Hospitality. All cocktails, beer, wines by the glass and bottles of wine will be 50 percent off all day April 15. Most of thischain's 15 locations start their name with BLT. Boston Market. The fast-casual restaurant chain is offering two individual meals, each including a half rotisserie chicken with a choice of two home style sides and freshly baked cornbread, for $10.40 (as in IRS Form 1040). No coupon required. Take your accountant out to lunch? Bruegger's Bagels. The bagel chain is reprising its "1040" special: 13 bagels and two tubs of cream cheese for $10.40 -- about a $3.50 deduction. You have to download and print a coupon from Bruegger's Facebook page or sign up for its email club by April 10. The deal is available April 12-15. California Tortilla. Mention the secret password, "taxes shmaxes," when you place your order on Tax Day at the fast-casual Mexican chain and you'll be rewarded with free queso and chips. A purchase is required. The cheese-intolerant can substitute salsa for queso. Great American Cookies. Get a free chocolate chip cookie from participating Great American Cookies locations; no purchase or proof of filing (or even of an extension) required. First come, first serve. Hard Rock Cafe. Musically talented (or low on inhibition)? You can take the stage at Hard Rock Cafes across America and earn a free dinner entree by completing a whole song in front of the entire restaurant. The song is up to you -- how about The Beatles' "Tax Man"? HydroMassage. HydroMassage is offering a free massage "experience" on its user-controlled massage beds. You have to download this coupon and call ahead for availability; calling ahead isn't required if you use a bed at a Planet Fitness location but there might be a wait. The freebie is good April 14-18. Kona Ice. On April 16, Kona Ice will hand out free cups of shaved-ice from its trucks and other locations. "No taxation without relaxation" is the tagline. Office Depot. Office Depot is letting customers shred up to 5 pounds of tax records (or anything else) for free through April 29. You'll need this coupon. Orange Leaf Frozen Yogurt. Customers can fill their cup with froyo and toppings for only $4.15 (as in April 15) via a coupon that will be posted on Orange Leaf's Facebook page. The chain says that amounts to approximately 50 percent off the regular price, depending on how much froyo and toppings a customer typically chooses. Schlotzsky's. If you buy a 32-ounce fountain drink and a bag of chips, the deli-sandwich chain will give you a small "The Original" sandwich for free. No coupon required. This sandwich consists of ham, two kinds of salami, three types of cheese and an assortment of fixings. Sonic Drive-In. The chain's drinks and slushes will be half price all day on Tax Day. No limit, and no coupon required. Sonny's BBQ. Once you've given the government its pound of flesh, head on over to Sonny's BBQ to get half off on a plate of Sweet & Smokey or House Dry-Rubbed Ribs. It's the Irresistible Ribs Special (IRS, get it?). No coupon is required, and the chain estimates this tax break is worth about $6.25 to you.